There’s something curiously similar in the way Governor Rick Snyder handled negotiations for the new Detroit River bridge at the beginning of his administration, and the proposed deal announced yesterday with Enbridge on the future of Line 5, the oil pipeline that runs under the Straits if Mackinac. In both cases, he seems to have decided the legislature was essentially dysfunctional, and went ahead and made his own deal. That assessment was certainly accurate in the case of the bridge. Whether that’s true in the case of Enbridge isn’t clear, but what this agreement does do is allow the governor’s office to keep control of the process during the next few stages. By the way, it would be easy to see the deal with Enbridge as meaning more than it does. This doesn’t mean the company is agreeing to shut down Line 5, ever. 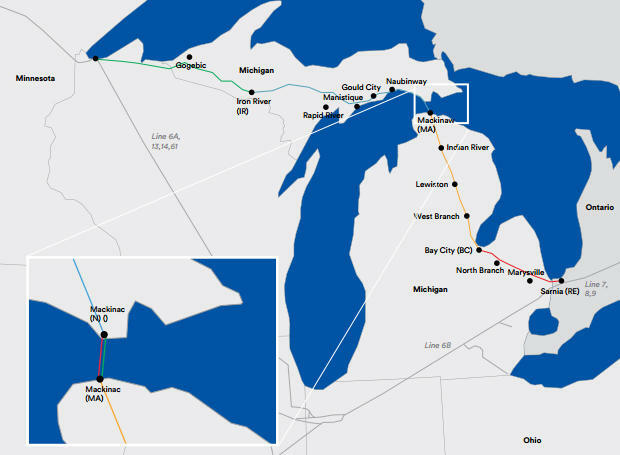 Essentially, all the Canadian-based firm is agreeing to do is take the section of Line 5 in the St. Clair River and move it to a tunnel under the river. If it makes you feel better, Enbridge is also promising to shut down Line 5 anytime there is a storm that lasts at least an hour and produces waves more than eight feet, which sounds like a disaster movie to me. Oh, and they will “study” what to do about the twin pipelines under the Straits of Mackinac, and submit a report to the state by next June 15. The timing makes a certain amount of sense in one way. Primary campaigns for every state office will be fast and furious next June. The one place relatively insulated from election-year politics may be the term-limited governor’s office. But while Mr. Snyder may be able to be dispassionate, he will also be a lame duck. If Enbridge doesn’t like what Snyder ends up proposing, well, he will be gone forever less than six months later. 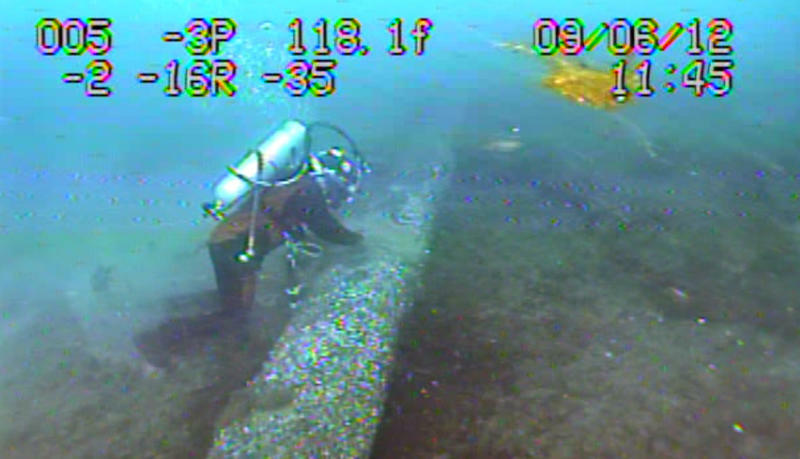 I don’t claim to be an environmental engineer, but I do know these things: If Enbridge’s 64-year-old Line 5 were to break, Lakes Huron and Michigan could be damaged beyond repair. I also know the company was not truthful at first about the extent of damage to the safety coatings on Line 5. Plus, when Enbridge’s line near the Kalamazoo River broke seven years ago, incompetent operators assumed it was only clogged, and tried to force more crude oil through it. I think we need to err on the side of safety, and I’m not sure this deal gets us there. 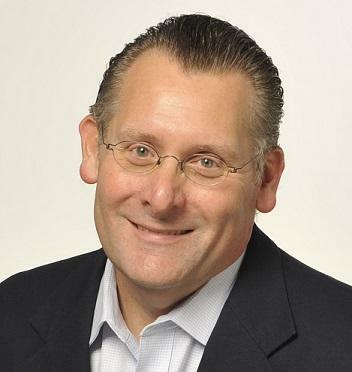 Stateside's conversation with Rick Pluta, Michigan Radio's Lansing Bureau Chief. Enbridge Energy will be required to take steps to safeguard the Great Lakes under a binding agreement with the state of Michigan. 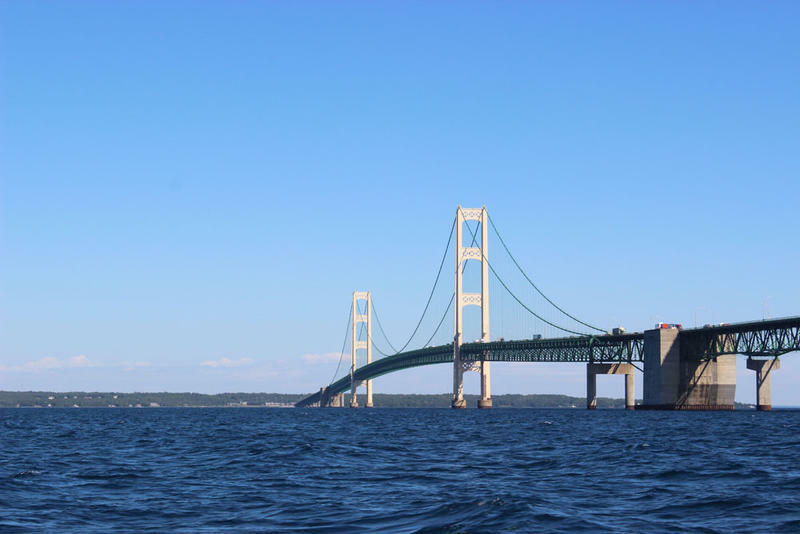 Enbridge and Governor Snyder signed the agreement Monday, which stipulates that the energy company must act immediately to increase environmental protections around Line 5, the controversial pipeline that runs under the Straits of Mackinac.